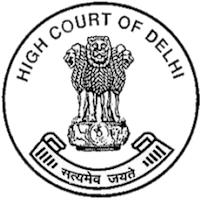 Brief Information:-Delhi High Court published a notification for the recruitment of 16 Judicial Translator & Senior Judicial Translator ..interested candidates can check vacancy details,qualification,age limit and apply online . Judicial Translator-Graduate with English/Hindi/Urdu as one of the languages at the degree level and Diploma/Certificate Course in translation from Hindi/Urdu to English and vice versa from University/Institute recognized by the Government. Senior Judicial Translator-B.A (Hons.) in English or Hindi or Urdu with Diploma/ Certificate course in translation (rom Hindi/Urdu to English, and vice versa from University/Institute.